Serenity is not a word that springs to mind when mention is made of Rwanda, where nearly 1m people were slaughtered in 1994, mostly Tutsis killed by their Hutu compatriots. Yet the serenity—of its countryside and people—is what the Rwandan government is marketing in an effort to woo tourists. It also hopes that tourism can help heal the wounds inflicted by the genocide. Rwanda has come a long way since 1994. Under President Paul Kagame, ethnic divisions are less harsh, crime rates have fallen, the economy is growing at 4% a year and the country’s politics seem stable. As for tourism, Rwanda boasts a diverse landscape of volcanic mountains, verdant hills, shimmering lakes and rolling savannah. 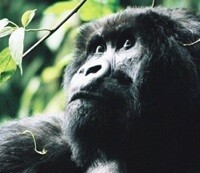 The country’s mountain gorillas are the world’s most accessible. Yet there is no attempt to hide the horrors. Denial is not part of the new Rwanda and so Genocide sites are included in many tourist itineraries. They are harrowing, respectful but educational. Several sites are time capsules, bearing gruesome testimony to the massacres they witnessed. In a former school near the town of Murambi sixty four classrooms are full of the bodies of people who died there; babies, children, men and women lie in the twisted repose of death, their corpses covered with lime. In Kigali there is a more traditional memorial, an impressive museum chronicling the Genocide and a flower garden with mass graves of nameless victims. These and all the other memorials are evidence of a strong desire from both visitors and Rwandeese to acknowledge the stark message of the Genocide: what happened, and why. Also, for the survivors who lead the tours, being able to tell the world can be a powerful way of helping them heal. Prior to the Genocide, tourism was the country’s third most important foreign exchange earner. The drive to rebuild this potential seems to be working; the ultimate goal is to generate $100 million in tourism receipts annually by 2010, and current estimates already value the industry at $45 million. The focus is not simply bottom line profits. Rosette Chantal, Director General of the Rwandan Office of Tourism and National Parks, ORTPN, says that as well as creating seven jobs per visitor, tourism is an “image builder”, improving perceptions of Rwanda through the testimony of returning holiday makers. 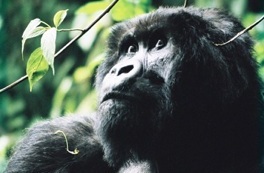 After comprehensive studies, including analysis of tourist industries in Kenya, Tanzania and Botswana, ORTPN concluded high-end ethical tourism was the best model. Not only does the rapid growth in “fair trade” consumption and “responsible tourism” mean it has the greatest income potential, it also provides the most benefit to local communities, and low ecological impact. Every year, 5% of the income generated by ORTPN from the National Parks is redistributed to the local communities for economic and social projects of their choice. Hotels are required to employ as many Rwandeese as possible and to source their food from local farmers. Focusing on high priced, high value product, then spreading the wealth, is part of a conscious policy to undermine the factors believed to have contributed to the Genocide; poverty, illiteracy and over centralised government. As Rosette Chantal of ORTPN succinctly puts it, “when people are poor and illiterate, they are easily manipulated”. In addition, as tourism is labour intensive it forces different groups to interact with each other. This co-operative nature helps to rebuild personal relationships between Hutus and Tutsis. Tourism activities that promote interaction between locals and visitors are also strongly encouraged. These meetings have a profound benefit for both groups. They create mutual respect, a deeper appreciation of different cultures, and for the Rwandeese, a belief that their new society has value and is worth protecting. ← Fancy prospecting for oil and gas?